This post was hosted by Coastal Mississippi. All opinions are my own. My first time to the Mississippi Gulf Coast has really changed my view on the state. I will be honest I didn’t know Coastal Mississippi had so many interesting things to do. When you come into the Mississippi Gulf Coast near Biloxi, it does look like a smaller version of Vegas with a strip of lit up hotels which doubles as a casino. So from just the immediate area, it looks like a casino strip and the major thing to do in the area. 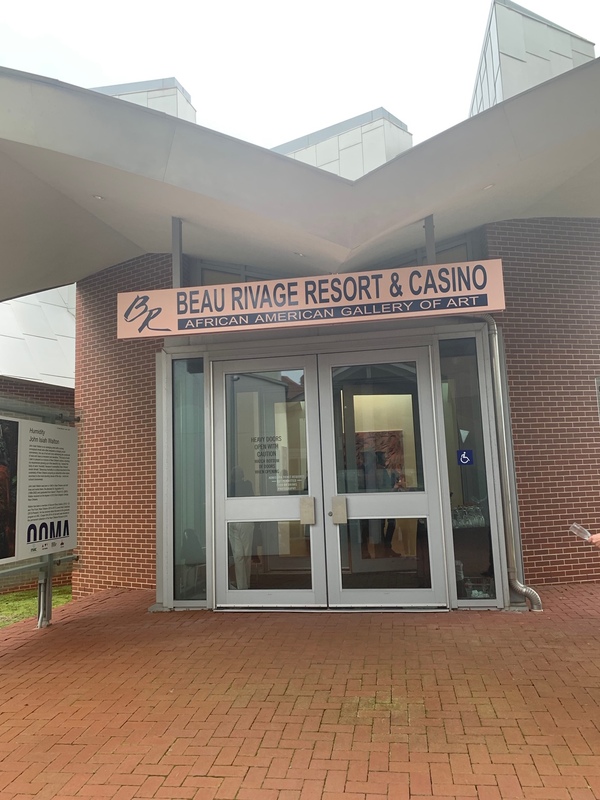 There is actually way more to do in Coast Mississippi without haven’t to even consider the casino for one’s main entertainment. So much more to do here such as visit museums, lots of scenic views and shopping, and fun quaint unexpected places to eat. 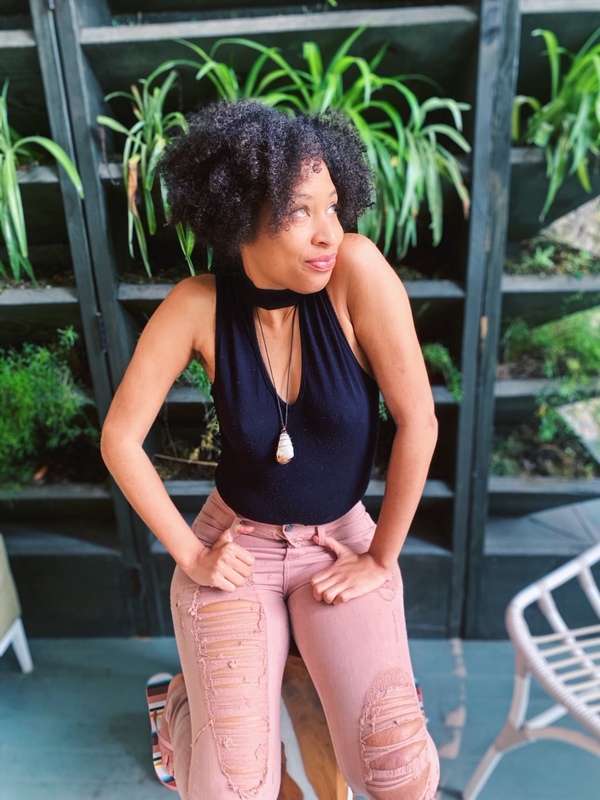 Check out a couple of things to do in Coast Mississippi that I enjoyed doing while on my trip! 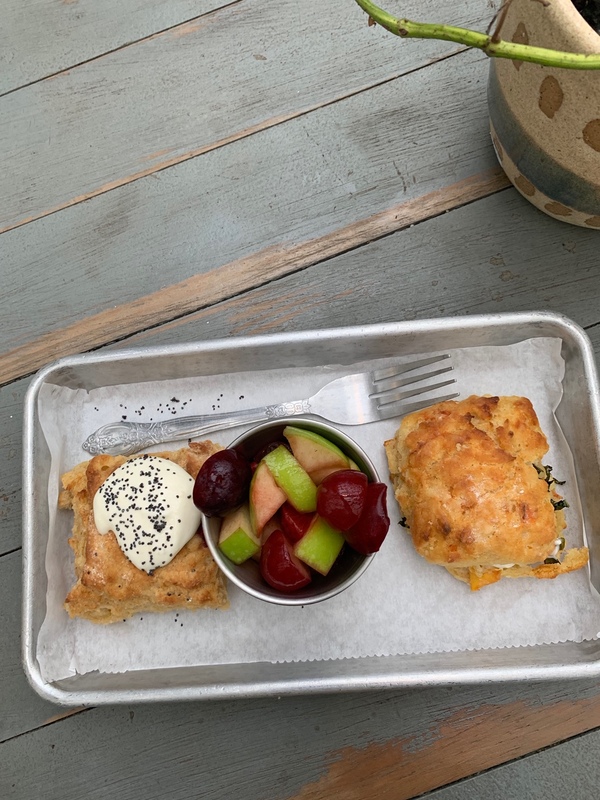 Have Breakfast at Greenhouse on Porter Ave. 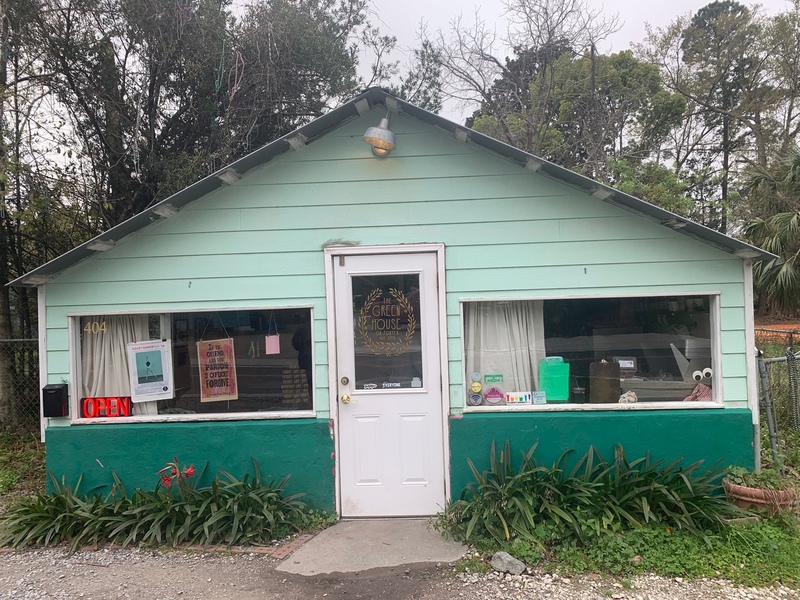 Located on the quiet west end of Porter Avenue, the Green House on Porter is unlike any shop Ocean Springs has ever seen. At first glance its a mint green quaint house, that definitely doesnt look like a coffee + tea + biscuit shop inside. But it is and it is amazing. 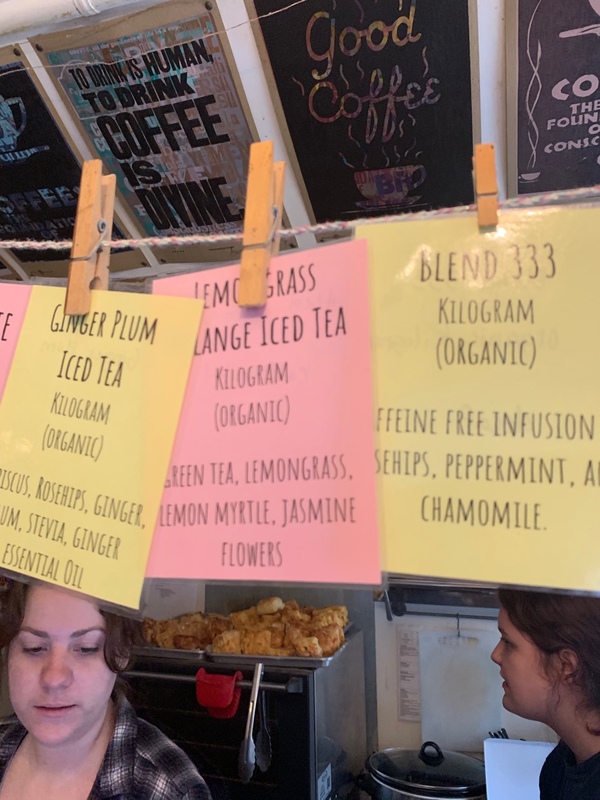 They make fresh brewed specialty teas that I feel in love with. I order a Lemongrass Ice Tea that was very refreshing! Now you walk to the back and its another little secret oasis I was not expecting from this spot. Its like a modern shabby chic feel that makes you feel instantly at home. Besides the tea and coffee, the big speciality here is their ever-changing biscuits. No two days will you get the same biscuit specials as they are always coming up with new creations. Daily there are top selections and its definitely fun to see what the two biscuits of the day will be. They switch it up every day! 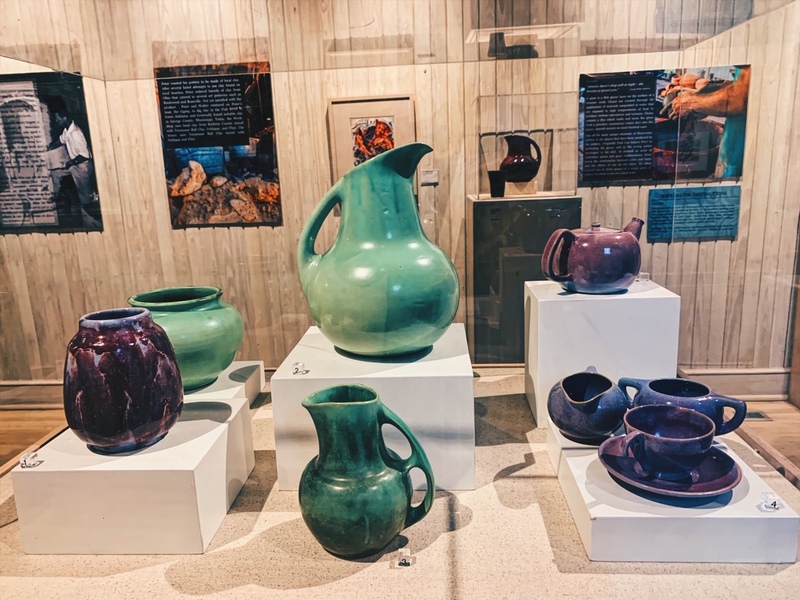 Ten years in the making, the Ohr-O’Keefe Museum of Art celebrates the innovative, independent and creative spirit of their namesake Mississippi master potter George Ohr. 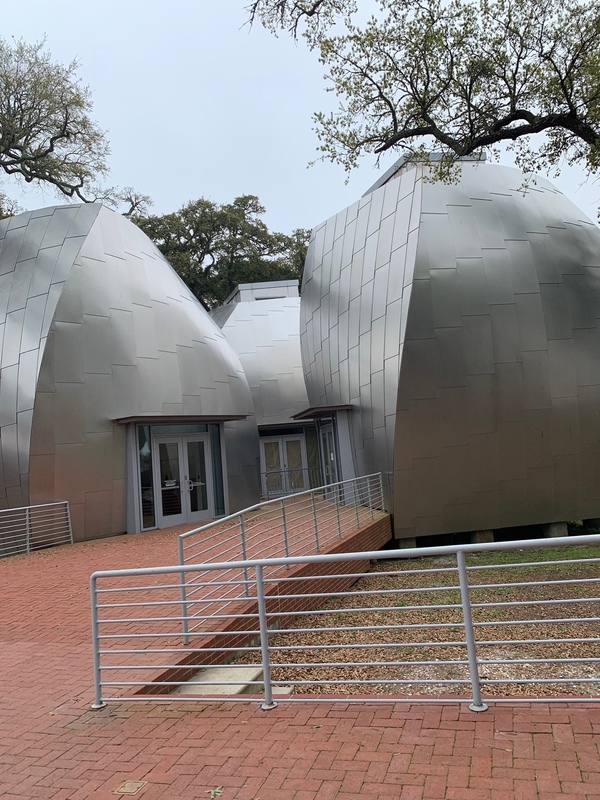 Ohr-O’Keefe Museum of Art has four new buildings and the reconstructed home of Pleasant Reed which are now open, offer visitors separate but not isolated experiences – together creating a single unified vision connected by the expansive brick plaza and the majestic Live Oaks. For our guests of all ages and interests, let the landscape be relaxing and the art inspiring, invigorating, and challenging. 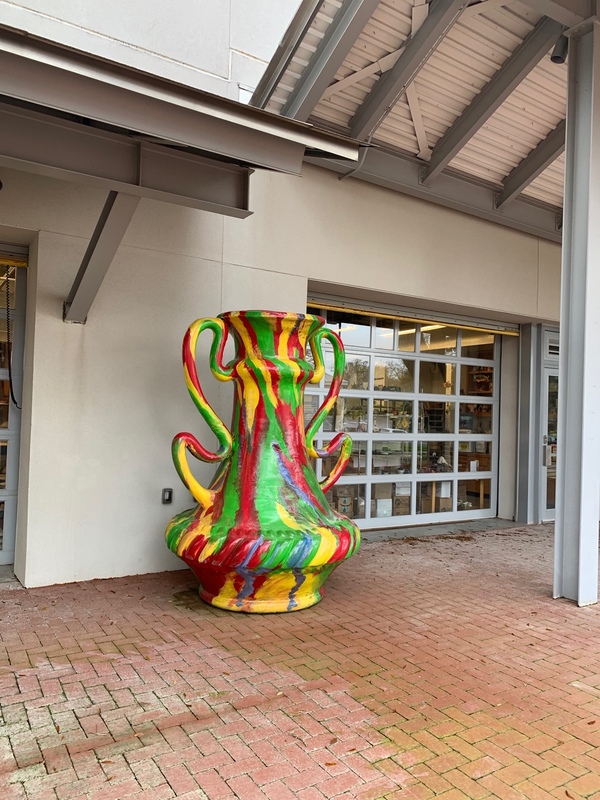 .Located under majestic oaks on the beautiful Mississippi Sound, OOMA features the ceramics of George E. Ohr (1857-1918), the self-proclaimed “Mad Potter of Biloxi. 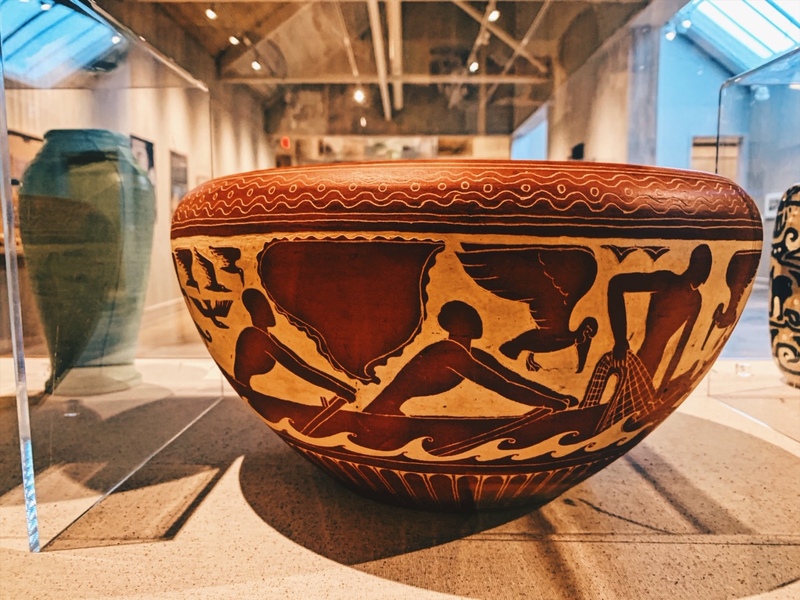 George Edgar Ohr, “The Mad Potter of Biloxi” created innovative ceramics that are a central part of the artistic heritage of the Gulf South, and the broader canon of American Art. 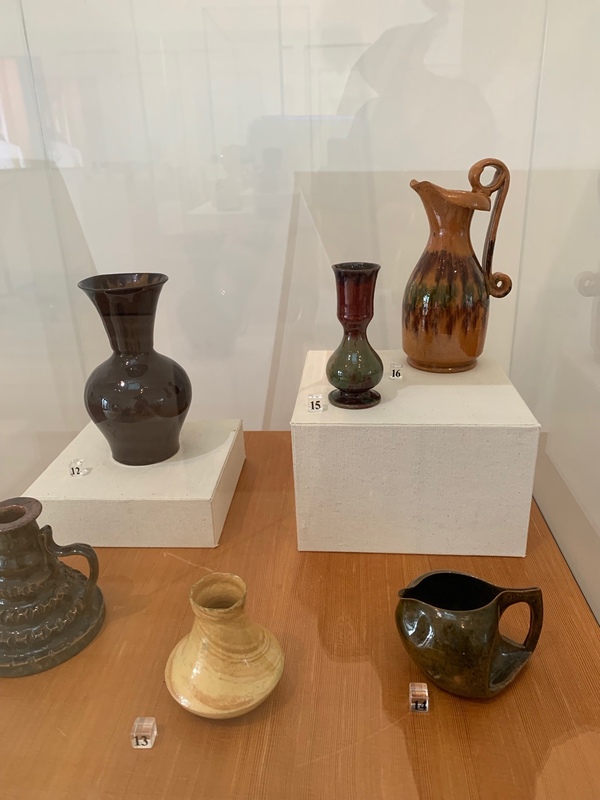 Today, 100 years after he ended his pottery-making career, George Edgar Ohr is considered an early leader in the American modernist movement. 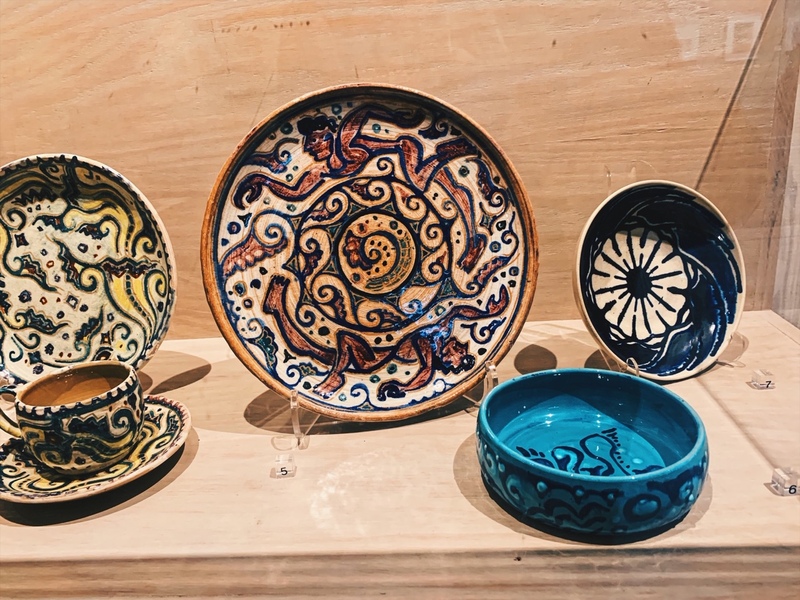 Classes & Workshops – So to keep Ohr legacy alive and active, they have an on-site Ceramics Studio holds art classes for artists of all kinds and ages! 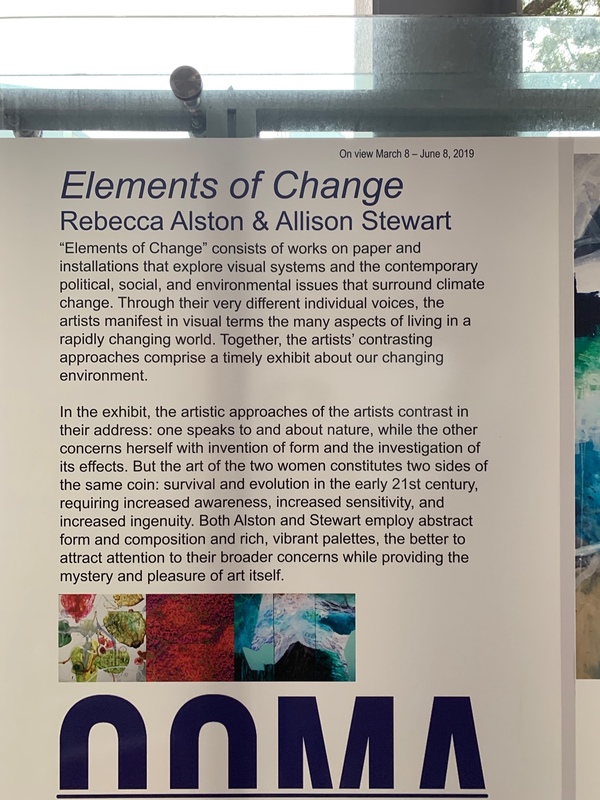 “Elements of Change” consists of works on paper and installations that explore visual systems and the contemporary political, social, and environmental issues that surround climate change. Through their very different individual voices, the artists manifest in visual terms the many aspects of living in a rapidly changing world. 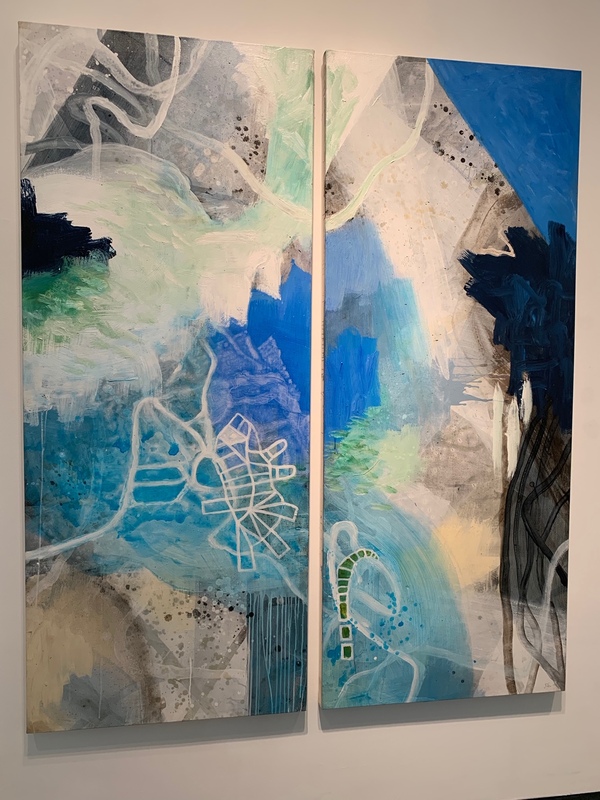 Together, the artists’ contrasting approaches comprise a timely exhibit about our changing environment. 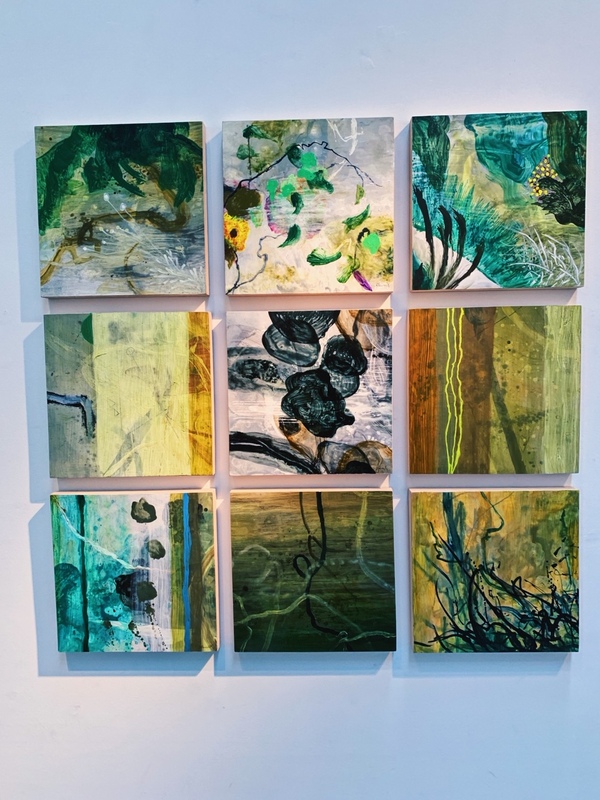 In the exhibit, the artistic approaches of the artists contrast in their address: one speaks to and about nature, while the other concerns herself with invention of form and the investigation of its effects. 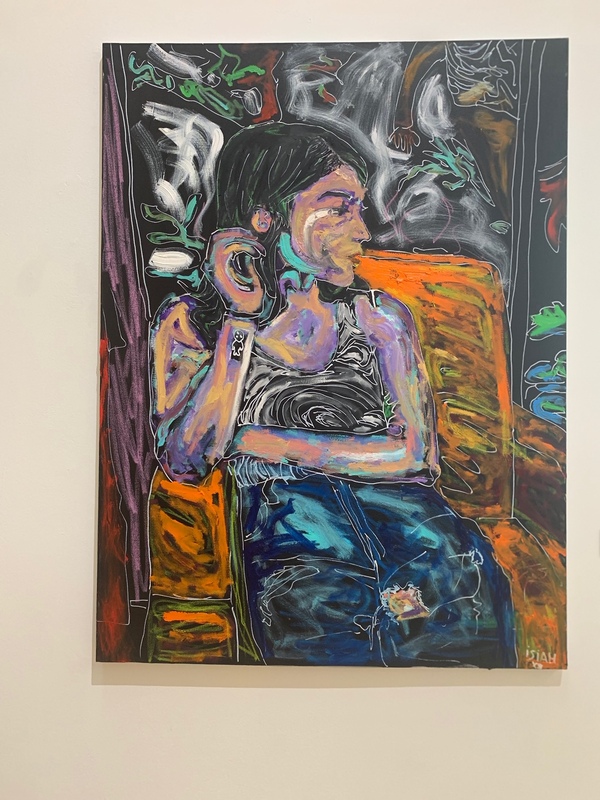 But the art of the two women constitutes two sides of the same coin: survival and evolution in the early 21st century, requiring increased awareness, increased sensitivity, and increased ingenuity. Both Alston and Stewart employ abstract form and composition and rich, vibrant palettes, the better to attract attention to their broader concerns while providing the mystery and pleasure of art itself. This was a special day as John Isaih was actually there while I was visiting. 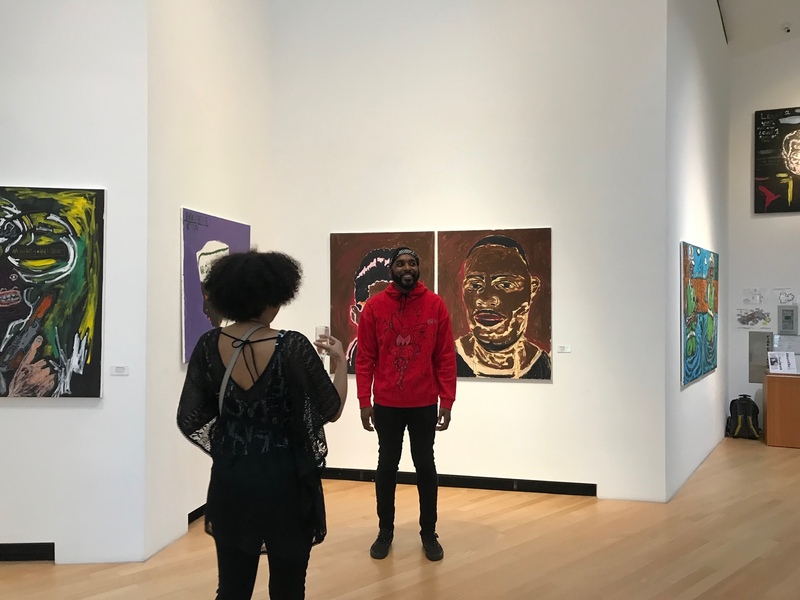 So I got a chance to chat with him about some of his work and his life on being an artist. He is a very humble and doesn’t have a thesis for each piece. He creates from feelings and inspired by his friends and his vibrant city of NOLA. 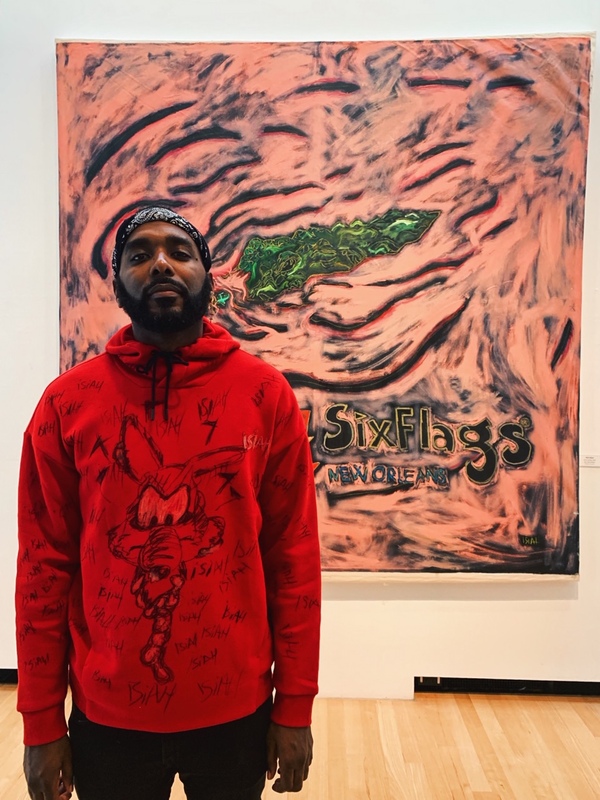 He has lectured about his work to the graduate program at UNC, Chapel Hill (2014) & his work was donated to the permanent collection of the New Orleans Museum of Art. 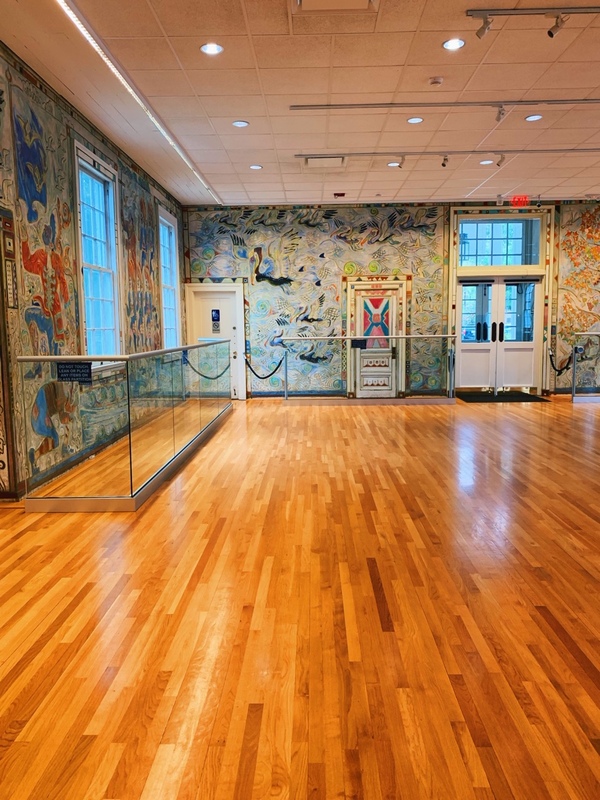 Walter Anderson Museum of Art, opened in 1991 dedicated to celebrating the works of Walter Inglis Anderson (1903-1965), American master, whose depictions of the plants, animals, and people of the Gulf Coast have placed him among the forefront of American painters of the Twentieth Century. Anderson cultivated a belief in realization between man and nature.. “In order to realize the beauty of man we must realize his relation to nature,” wrote Anderson. 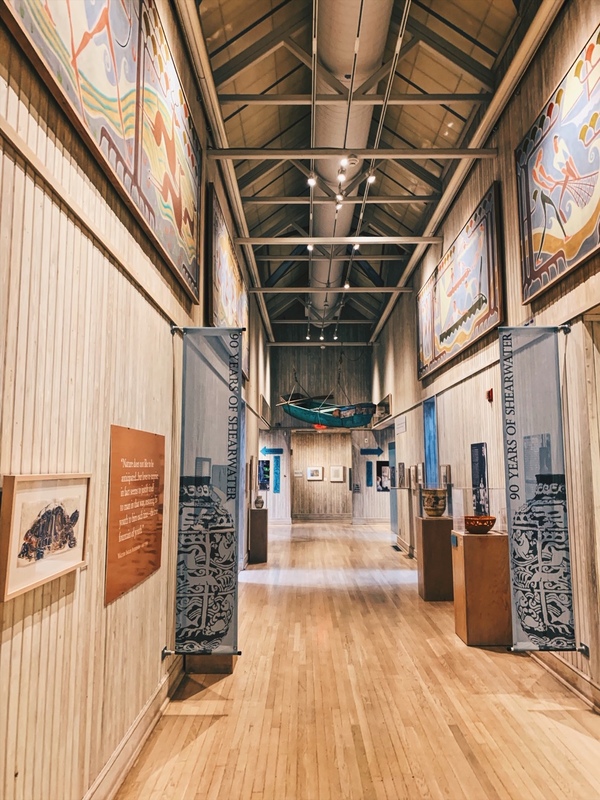 The Community Center is the site of Walter Anderson’s monumental 3,000 square foot murals, which depict the historic discovery of the Mississippi Coast and its diverse climates. The City commissioned Walter Anderson to execute the murals in 1950 for a fee of $1.00. They were completed after 16 months in 1951-52. 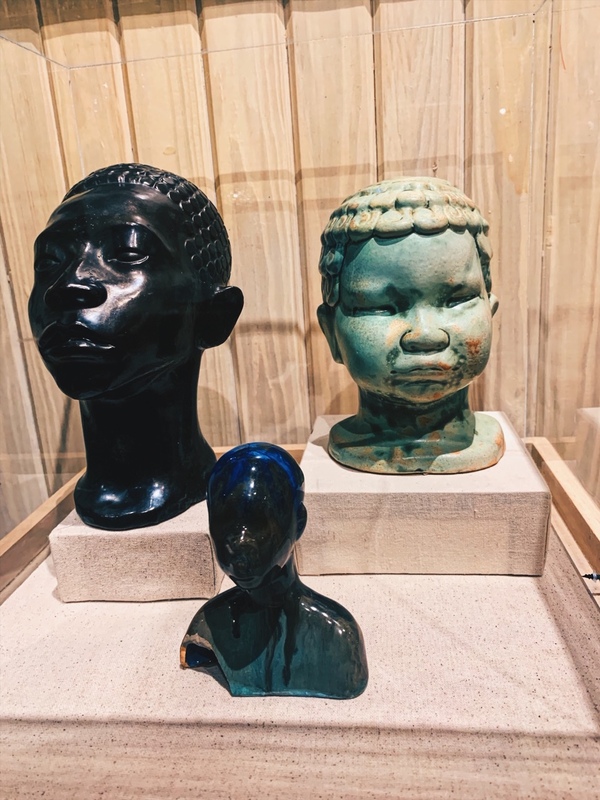 Walter Anderson did not separate “fine” art from “folk,” knowing that the designation was a temporal phenomenon unasserted across most of human civilization. He saw his art not as a product through which he might earn acclaim or fortune, but as a process for grasping, if only for a moment, the bounty of creation. 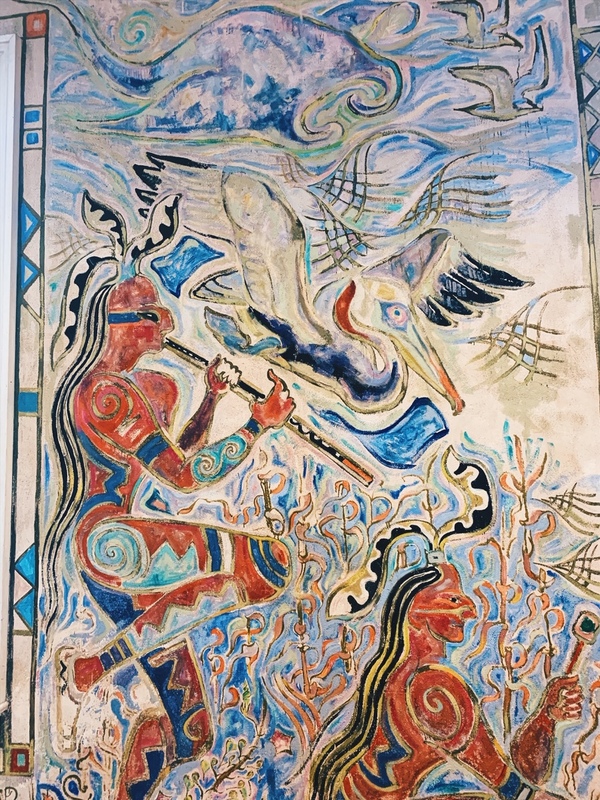 Anderson’s murals, block prints, and ceramics – decorated and designed as an employee of Shearwater Pottery (founded by his brother, Peter) – were propagated widely. 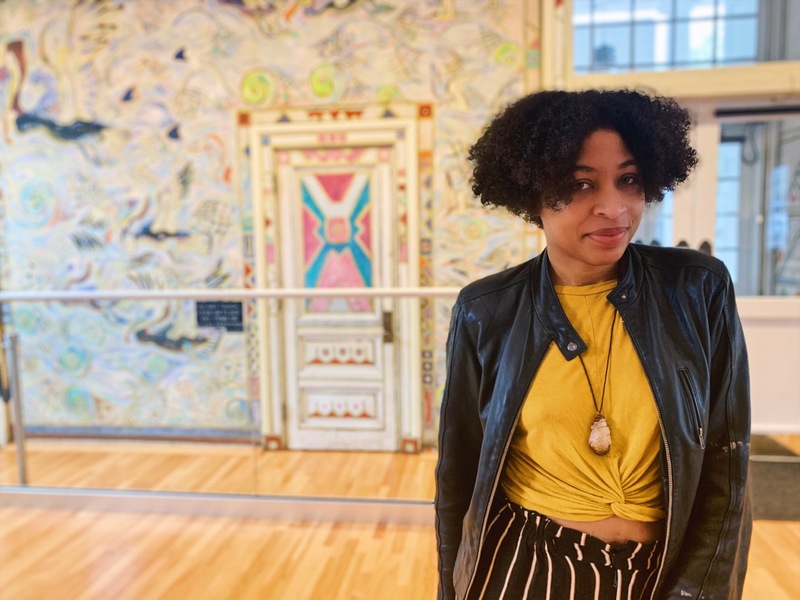 These works were intended to be accessible; created, said Anderson, for “people who cannot afford to pay a great deal for works of art, but still have an appetite for beauty. 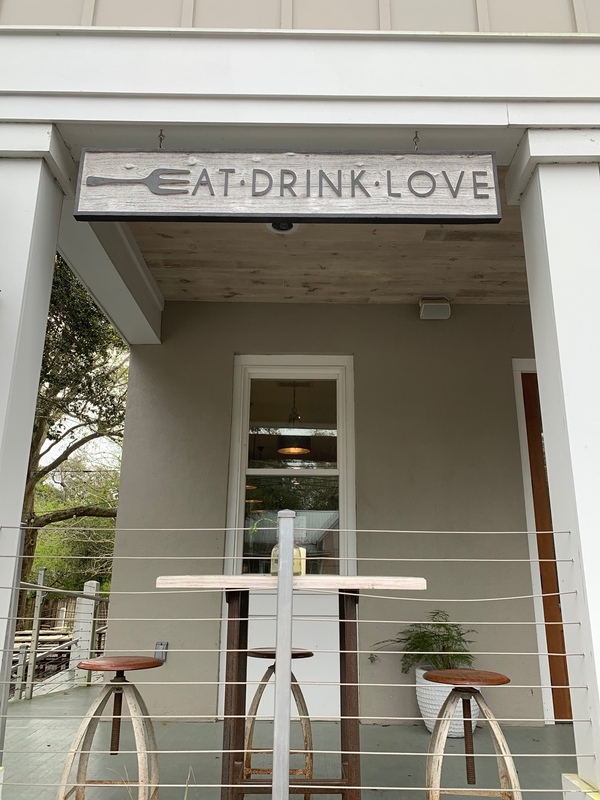 Eat.Drink.Love is a very cute spot in Oceans Springs located on Porter Ave. It is another hidden gem I didnt expect to get in Mississippi. So modern and a minimalist place of a little serenity to catch a quick lunch. I will tell you I wasn’t expecting such a cute and modern healthy lunch spot in Coastal Mississippi. Yes the Mississippi Gulf Coast is full of seafood spots to visit, but Eat.Drink.Love was a pleasant surprise. 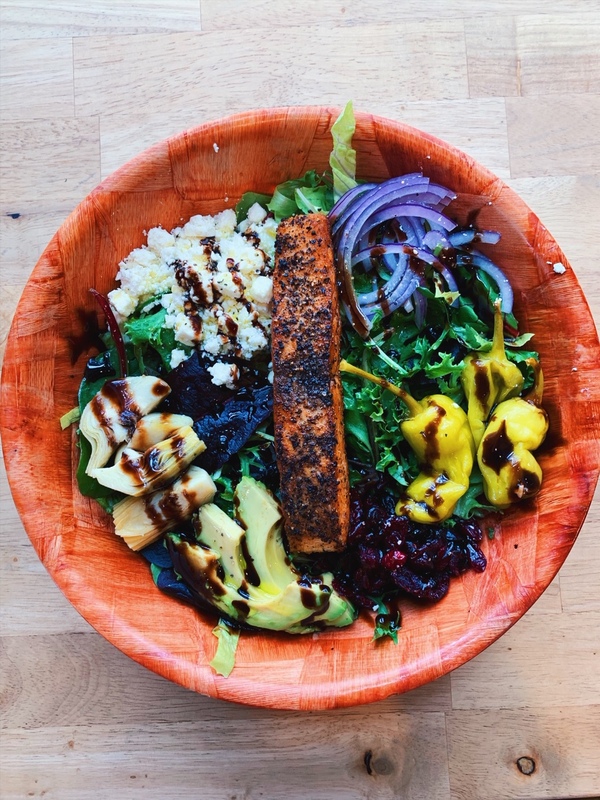 It reminds me of places I would eat at home to have a fresh bowl, so this power bowl was amazing. The fresh cranberries made this dish and when I return I am coming back for this! The Wilbur Craft Bar is directly next door to Eat.Pray.Love that is somewhat apart of the restaurant but also very seperate. I was drawn to their outdoor greenery area, but what I learned is that The Wilbur turns into a speakeasy at night! Who knew Coastal Mississippi had speakeasys! 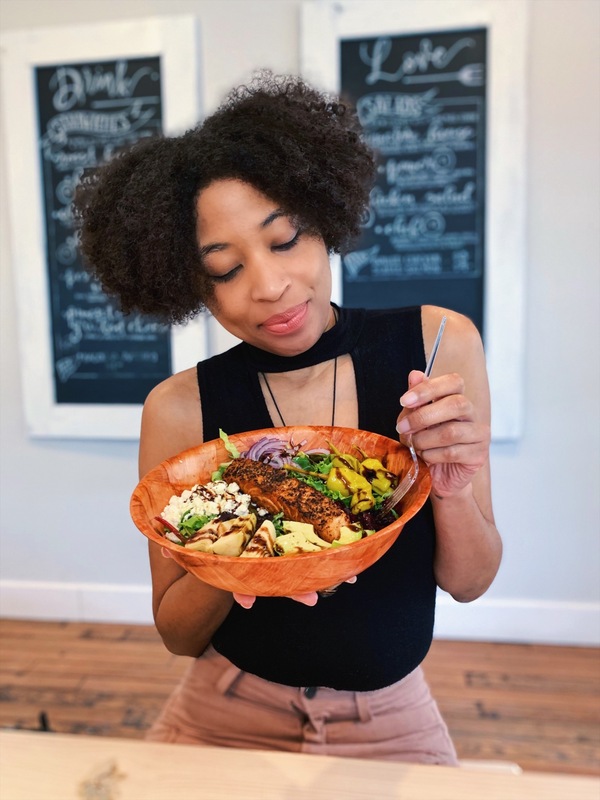 White Pillars Restaurant is a farm-to-table restaurant using Mississippi-grown meats and seasonal local vegetables. 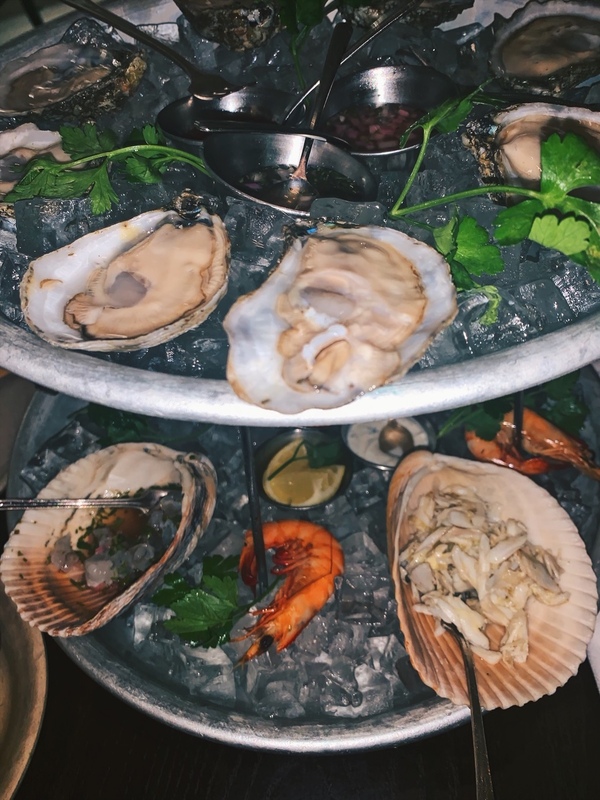 Its an upscale spot and must-order here is the SeaFood Tower, with an array of fresh caught crawfish, oysters, prawns with ceviche large enough to share! 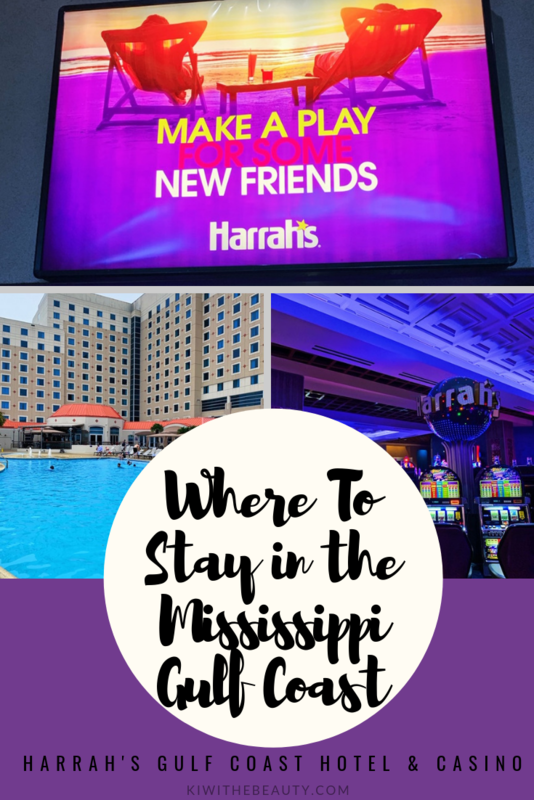 I did an entire post on Stay at Harrah’s Gulf Coast Hotel and Casino. As this post stated it is what to do outside of casinos, but this hotel definitely has way more than that! Harrah’s Gulf Coast offers a greal poolside area, lots of restaurants to choose from, spa, and definitely great place to stay if you are visiting from out of town/weekend getaway. Click the image or the link here to learn more about Harrah’s. and Hancock. 12 cities make up these three coastal counties. by an endless bounty of seafood. What part of Coastal Mississippi intrigued you the most? Everything looks so interesting here. Of course those biscuits stood out to me right away yum! 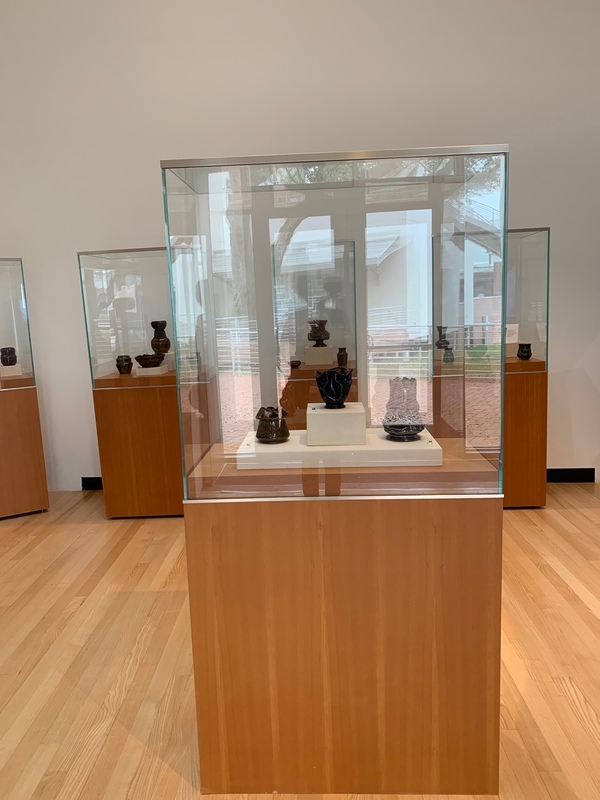 The Ohr-O’Keefe Museum of Art looks incredible. Wow, what fun travels! The breakfast in a greenhouse looks so cool!! I also would love to explore that museum with my husband! There are really some gems in the US. That breakfast place looks great. 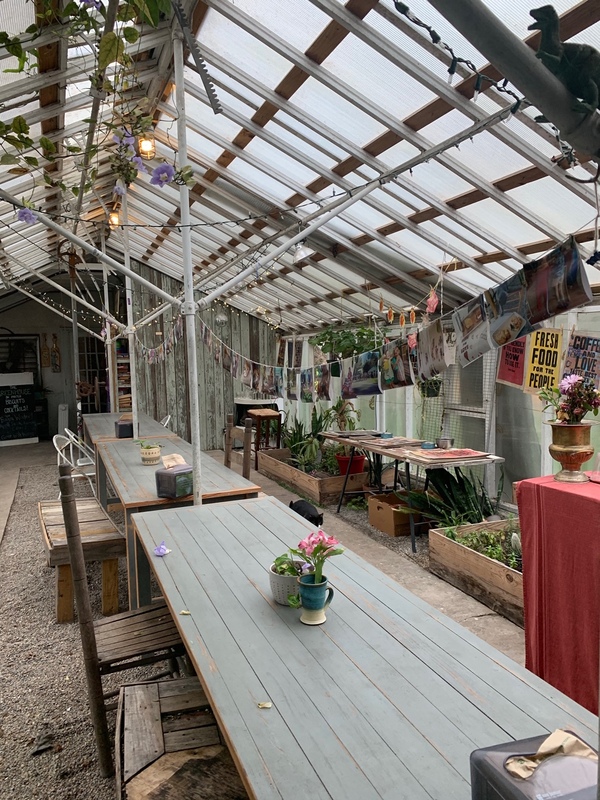 Breakfast in the Green House sounds amazing! I bet they take real good care of their customers! A lot of great places to see, like the Ohr-O’Keefe Museum of Art. I find that most intriguing! Those art museums are calling to me big time. I can’t wait to get down there and explore more! I found the art quite intriguing. I could spend hours looking at it all. 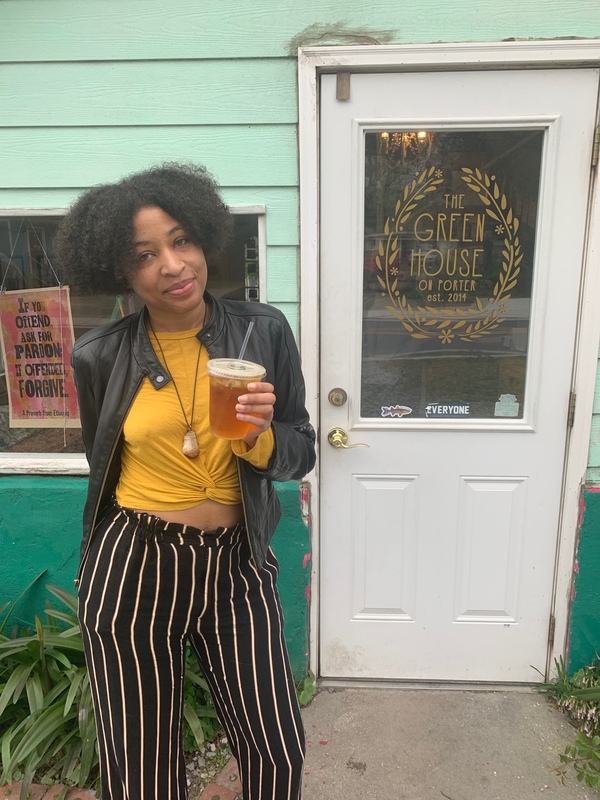 I love the quaintness of The Green House on Porter. This was like a customized, one-on-one excursion. The pictures are FAB, and the personal value of this shared post is very beautiful. what a beautiful place! Loads of art to look at, awesome! A friend’s sister lives in this area and we have been planning a trip together. We will have to check these places out. I haven’t been to Biloxi since I was a kid. This is an awesome list. Hope to get back there one day. Wonderful way to spend time.Awesome pictures truly. It motivates me to go. Nice place to visit! And definitely unusual place to eat! I would like to eat there one day! The greenhouse seems like a comfy place to visit. Good for family and friends gathering. The food looks healthy and yum. I never considered Mississippi as an interesting place to visit but this definitely proves me wrong! What a fantastic area! I would never think to visit! I’ve never been to Mississippi but the food and art look great. The greenhouse looks interesting too. That breakfast cafe place you posted looks amazing! I don’t know when I’ll be in that area but it’s fun to see what’s there! Having never been to Mississippi, I find this to be an excellent guide. At least we’d have an awesome point to begin our adventure! This looks like it would be such an amazing time. I have always wanted to visit farther south than I live. This sounds like such a great place to visit I have always wanted to see this area of the country! wow i gotta keep all this in mind if i’ve ever back east! Great info! I’m a Mississippi girl myself and have lots of family on the Gulf Coast, so I really enjoyed your post. 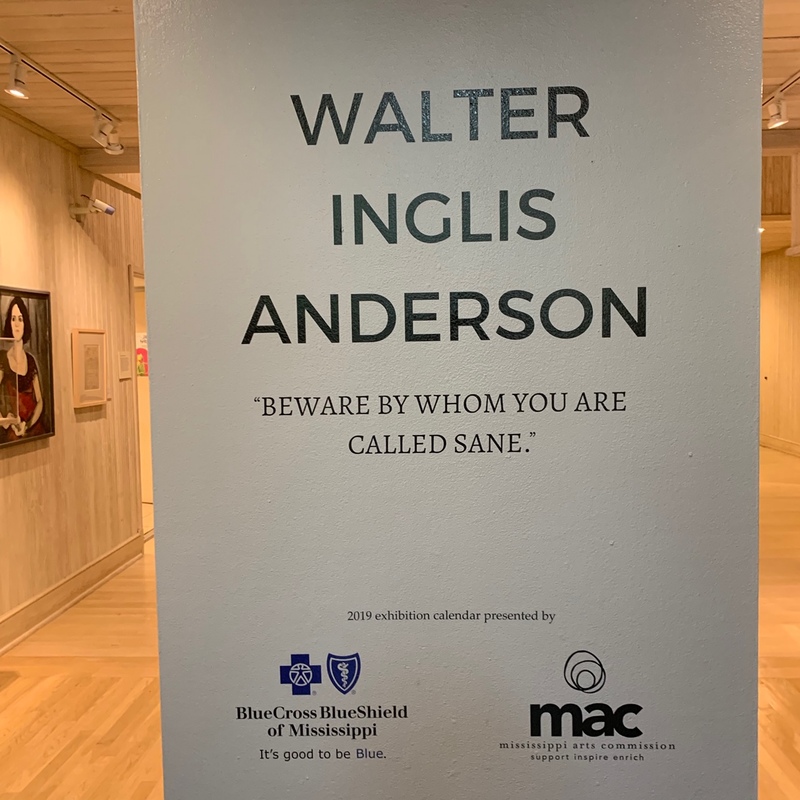 The Walter Anderson museum sure has changed and expanded since my last visit. We’ll have to check that out next time we’re down there for a reunion! Ahh, interesting places to see! I will add Mississippi to my list of places I want to visit! Wow! There really are so many things to do! Yes to the spa and all the food places showcased here have such a fresh feeling! I love going to museums! They are so much fun and a great way to connect with a city you are visiting. Looks like a fun place to visit. That lemongrass tea sounds really perfect for those biscuits and for that ambiance. I enjoyed looking at your pics and thanks for sharing us a glimpse of what can we expect on this place. I don’t know when it happened but I am now a huge fan of modern art. (I used to not understand it at all). I love this museum. Looks like there is plenty to do in Coastal Mississippi. I never would’ve thought of Mississippi as being this cultural, artsy hub. Clearly I was wrong. Gotta add this to the list of places to visit! My family is currently planning a “Cousins Trip” I should suggest this to them! I love the pictures! That was the cutest coffee shop ever! I definitely want to visit when I’m in town. Okay I think I might have to visit. Im mesmerized by everything. 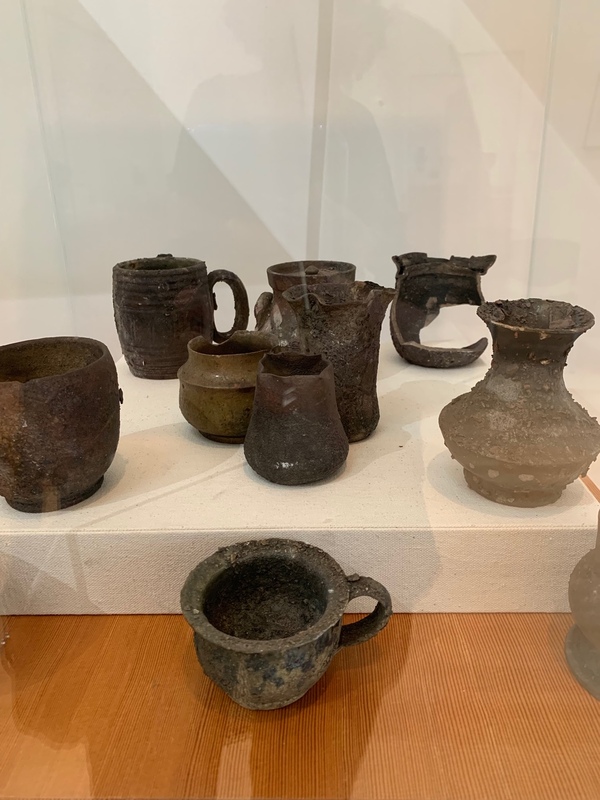 I love all the artifacts in the museums! This is getting added to my bucket list! It sounds like Mississippi has a lot to offer. I never been to Mississippi. Thank you so much for the travel guide. Looks like there is a lot of interesting places to visit there. Pinned this one! My family’s from Mississippi. It’s been a while since we’ve had a family reunion there, but I would love to explore a bit more when we go back. Oh wow, I LOVE the look of that greenhouse cafe! I’ve never been to Mississippi, but I’d love to visit one day.